Certain anime studios—and even certain creators—have signature moves. Hallmarks or calling cards, if you will. Let’s have a look! On Twitter (via Togetter), people were talking about famous poses and stylistic techniques in anime (and manga). This article was originally published on June 5, 2015. In Japanese, this is “Gaina Dachi” (ガイナ立ち), and it refers to a pose that often appears in Gainax anime. In the Gainax Stance, the character stands with folded arms. It first appeared in Gainax’s 1988 anime Gunbuster, which was Hideaki Anno’s directorial debut. Anno would go on to create Neon Genesis Evangelion and predict the death of anime. In Japanese, this is “Shafuto Kakudo” (シャフト角度), which literally means “Shaft Angle.” But it’s also called other names like “Shafu do” (シャフ度) or “Shaf degree” (as in the degree of an angle). 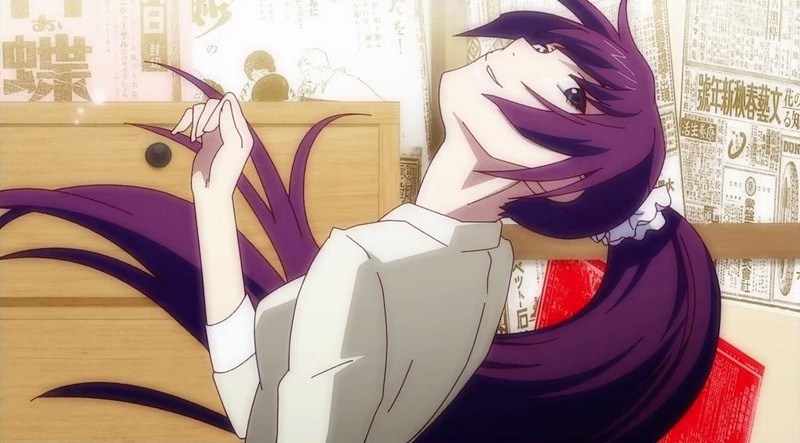 Many of the anime created by the studio Shaft feature characters tilting their heads in a similar angle. Osamu Dezaki made his name directing the boxing anime Ashita no Joe. His signature style was using washed-out frames with light often streaming in that he called “postcard memories.” Newer anime continue to pay homage with this technique. Kyoto Animation director Naoko Yamada often features characters covering their mouths. Sunrise, of course, is famous for the Mobile Suit Gundam anime. The “Sunrise Stance” might be one of anime’s most famous trademark poses and has been copied (or parodied) by many other anime studios. Click on the corner of the above image to expand to full size. In Japanese, this is called “tane pose” (種ポーズ or tane poozu), with “tane” literally meaning “seed.” Many of the poses in Gundam have names (some are named after mecha designers, for example). This one is popular among Gundam model fans and figure collectors. Feel free to add more in the comments below!